We at Dunn Roofing and Sheet Metal Pride ourselves on Quality of Workmanship and a Reputation of making sure it is right the first time. We strive to satisfy our customers and our manufactures who let us offer 30 year labor and material warranties on your home or commercial roofing project. We understand that quality work can help build a strong business and customer base. Our goal is to make sure our customers are satisfied at the end of every project and we are confident that our work will withstand even the toughest storms and weathering. Dunn Roofing guarantees to provide a warranty on every project by both the manufacture and our company. We have yet to finish a job and fail a manufactures warranty inspection and we plan to keep it that way. There’s no better way to protect your home than by keeping a good roof over your head. At Dunn Roofing & Sheet Metal, we’ve been professionally installing and repairing roofs in the surrounding areas for many years. A correctly installed roofing system will keep out water that might damage your home, business, or industrial property. Dunn Roofing will promise to finish your project in a timely manner because we take pride in customer satisfaction and understand that our customers have schedules and timelines of their own. 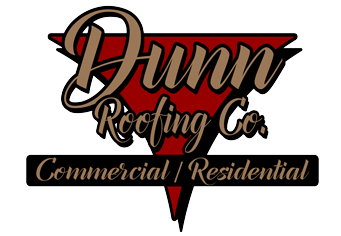 Dunn Roofing has built a business based on customer satisfaction and guarantees to stop those problematic leaks, and get the Job done efficiently and effectively leaving you with a quality Roof that is warranted by the best Roofing Manufactures out there including; Firestone, Versico, and Tamko. Dunn Roofing & Sheet Metal takes are the necessary precautions to keep our guys safe on the job. We understand the danger working in the roofing business and Safety is a top priority. Dunn Roofing has a designed safety plan to make sure our employees are safe from start to finish. Dunn Roofing has worked under OSHA requirements from the very beginning we know that falls are the leading cause of death in the construction industry, accounting for over 3,500 fatalities between 2003 and 2013. Falls from roofs accounted for nearly 1,200, or 34%, of the fall deaths during that period. Roofers encounter many hazards on the job, including hazards associated with working at heights and from ladders, power tools, electricity, noise, hazardous substances, and extreme temperatures. Unless these hazards are controlled by the employer, roofers risk serious injury. With that said, we at Dunn Roofing recognize the need for a safety plan and require our employees to follow it. Dunn Roofing is fully insured and licensed and takes all the necessary steps to avoid those potential accidents. Maintenance Building Masonic Homes Frankfort Ave.
Dunn Roofing & Sheet Metal has over 32 years of experience with Owner Mark Dunn who has lived in Kentucky all of his life and has seen many roofers come and go. We at Dunn Roofing and Sheet Metal Pride ourselves on Quality of Workmanship and a Reputation of making sure it is right the first time. We strive to satisfy our customers and our manufactures who let us offer 30 year labor and material warranties on your home roofing project.